Collection of Creative Wireframe Models from all over the world. 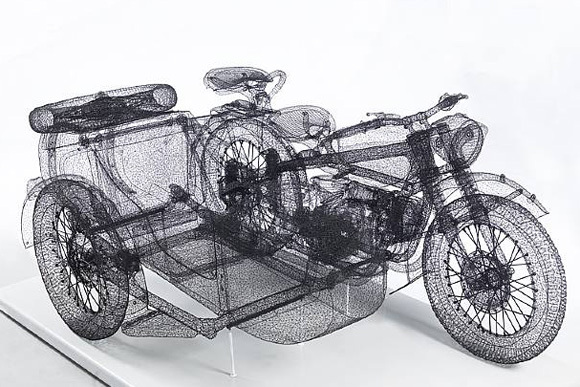 Wireframe Motorcycle and Sidecar: Artist Shi Jindian made a wire frame replica of the Chiangjiang 750. 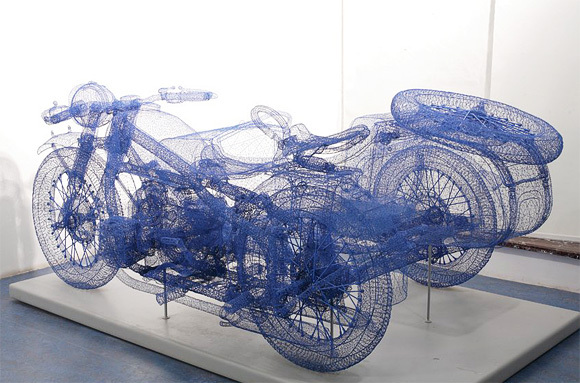 These sculptures are made of steel, yet they are light, and transparent. Toyota Corolla Wireframe: British artist Benedict Radcliffe created this amazing, full-scale sculpture of a Toyota Corolla which was made entirely using wire. 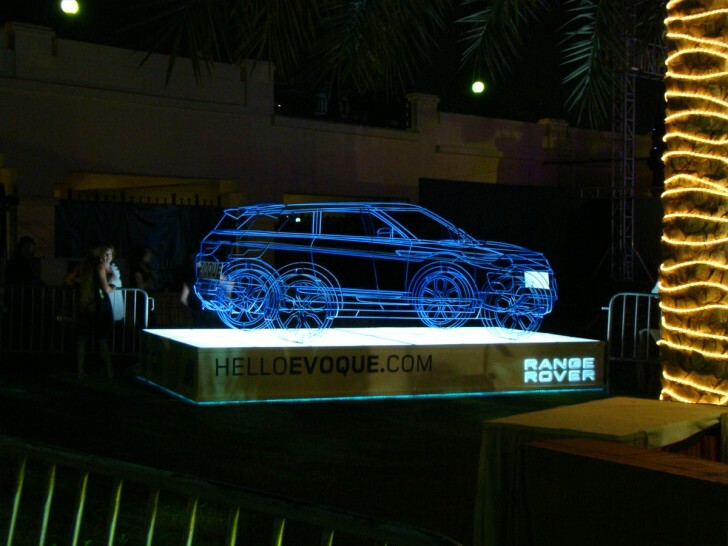 It looks like a CGI, but it's real. This work was commissioned by Japanese Densu Inc for advertisements. 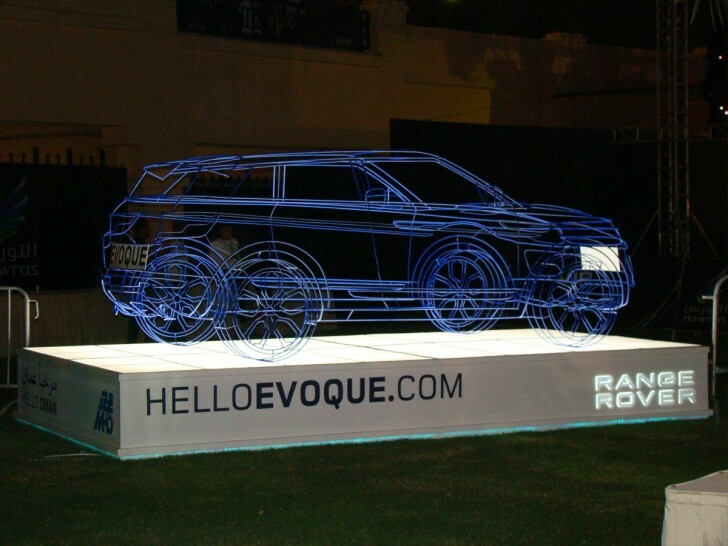 Radcliffe's work combines engineering and sculpture with graphic and industrial design. 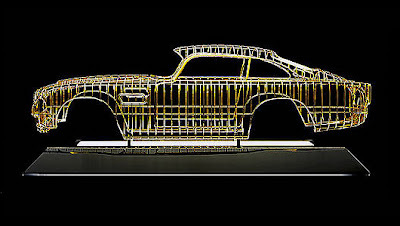 Aston Martin DB5 Wire Frame Sculpture: Aston Martin DB5, is the creation of Swiss artist Dante. This Aston Martin is a 1:4 scale and a total of 10 were made. 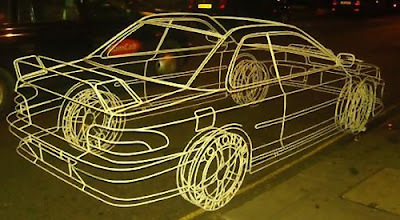 Wire Frame Subaru Impreza: It's a real 1:1 wire frame sculpture of a Subaru Impreza; work of British artist Benedict Radcliffe. 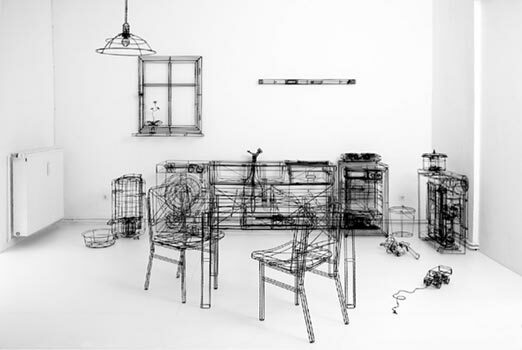 Wireframe Kitchen: Creation of sculptor T Raschke. 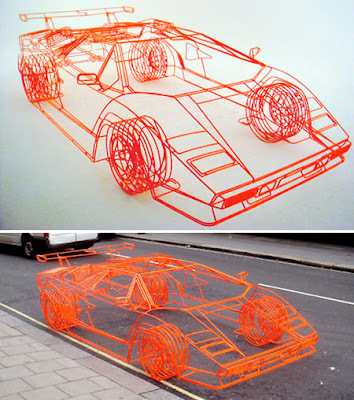 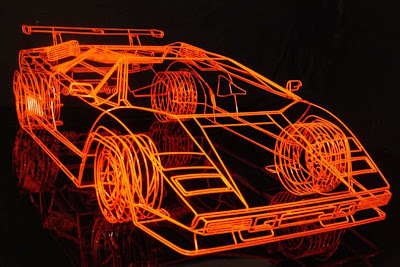 Wireframe Lamborghini Koenig Countach: Benedict Radcliffe created this one in 2008. 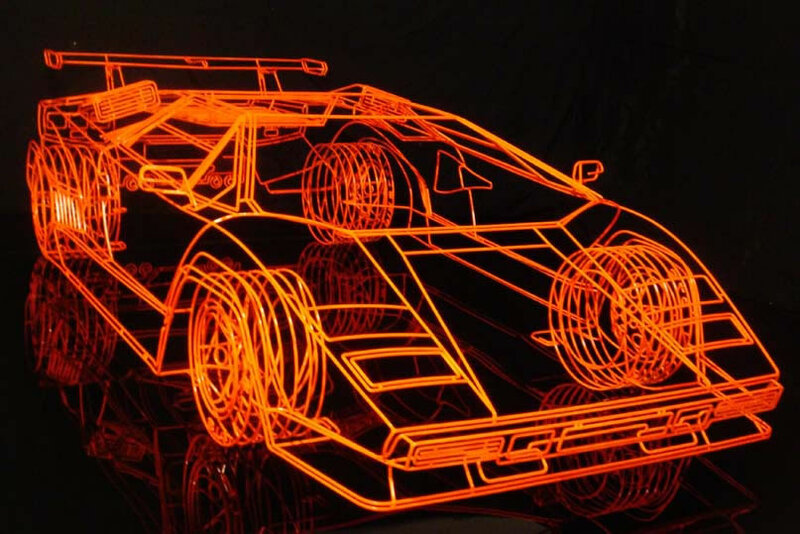 It's 6ft wide, 14ft long made from 160ft of 10mm steel painted with a tint of fluorescent orange to achieve a cool look. 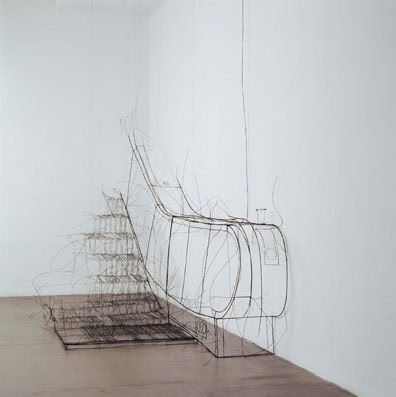 Escalator Wireframe Sculpture: A wire sculpture of an escalator by Fritz. 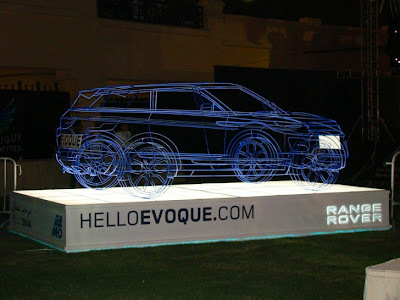 Rangerover Wireframe Sculpture: This wireframe sculpture is one of 40 that have been created to introduce the car to consumers in various prestigious locations. Mercedes-Benz 300 SL Gullwing Wireframe Sculpture: Mercedes-Benz 300 SL Gullwing sports, is another creation of the Swiss artist Dante. 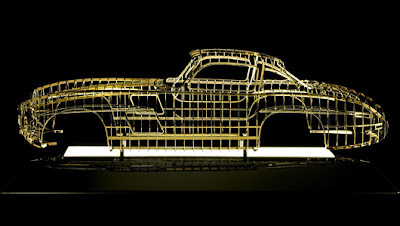 This Benz is a 1:4 scale and a total of 10 were made. 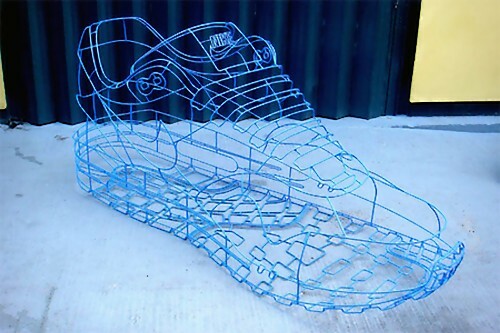 Wireframe Nike Sneaker: Artist Benedict Radcliffe constructed this huge Nike Air Max 1 wireframe sculpture entirely out of bent steel wire over 2 months.